If you want to get fitter – for a race or ‘just because’ – then the best thing you can get is a heart rate monitor. Here’s all you need to know. One of the easiest ways of monitoring how your body is doing during training and recovery is by looking at heart rate. It’s also a great way of monitoring how your fitness is progressing (or otherwise) and setting effort-levels to work at in training sessions. You can’t tell how your fitness is progressing just by ‘feel’. A heart rate monitor – especially combined with a computer’s timer/stopwatch – gives you the full story. Rather than holding your fingers on your neck or wrist to measure your pulse, a heart rate monitor (or HRM for short) will do this for you much more easily. Allowing you to concentrate on training and watching the figures. Heart rate monitors both monitor your performance and help you improve it. A lot of people just use a heart rate monitor to see what their maximum heart rate was during a ride or what they’re average heart rate was. But a heart rate monitor can do a lot more than just max and average. When you input your vital stats into a HRM (height, weight, gender, age etc) you can then split your heart rate into different ‘levels’ or ‘zones’. There are usually five different zones. Zone 1 is your ‘easiest’ level of exercise. Zone 5 is the ‘hardest’ (think: REDLINE!). By knowing your zones and knowing what zone you are in (or should be in) makes it possible to do some very specific and useful training practices. For example, you can avoid going above Zone 3 if you’re looking for a recovery sort of ride. Or you can avoid dropping into Zone 2 if you’re looking to really push/punish yourself! Essentially there’s two parts to a HRM. A sensor and a receiver/display unit. The sensor sends your current beats-per-minute heart rate (pulse) wirelessly to the receiver/display unit. The sensor is usually a chest strap but there are some new HRMs which use a wrist strap. Most units have the option to record and store training sessions in the receiver/display unit and some also allow you to download training files to a computer for further analysis. The majority of HRM’s use a chest strap to transmit heart rate to the receiver/display unit. They are small, lightweight, surprisingly comfortable in use and have amazing battery life. Most use a watch-type battery which can be replaced by the user but some need returning to manufacturer for this so again check specifications before purchasing if poss. Chest straps are also available to buy separately if you do need to replace one (or if you just need one to go with an existing device such as a GPS computer or smartphone). How your HRM communicates with external devices is important. This will dictate what you can and can’t do with your HRM further down the line eg. linking up to a turbo trainer or smartphone connectivity etc. Thankfully the days of proprietary connection formats are pretty much behind us and most companies have adopted the ANT+ system of inter-device communication. These are the simplest types of HRM. They look like watches. Often the pulse is picked up from the wrist and displayed on the watch face (no chest strap required). There are also versions available which will send information via ‘ANT+’ connectivity to compatible devices such as smartphones or bike computers. Some watch-type models do need a chest strap but this will be clearly labelled at point of purchase whether it is supplied or not. Some of these are also mount-able on your handlebars should you prefer to have the display unit there instead of your wrist. Bar-mounted purely HRM devices are rare. It’s more common to have a bike computer that has a HRM function built into it as an option. 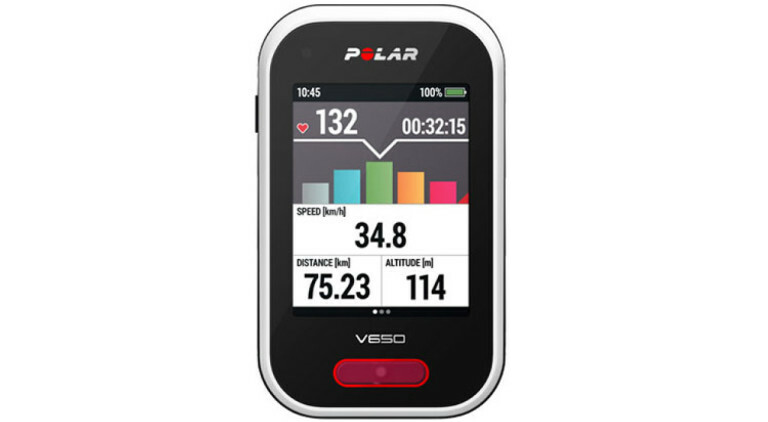 Some bike computers and GPS units will display heart rate as part of their many functions but they need a chest strap to do so. This is sometimes – but not always – supplied with it at purchase. Certain compact wrist-based HRMs only display heart rate but they can also send other more in-depth information to a smartphone. These types can also act as ANT+ devices and also transmit cadence and speed info etc where such sensors are fitted to the bike. 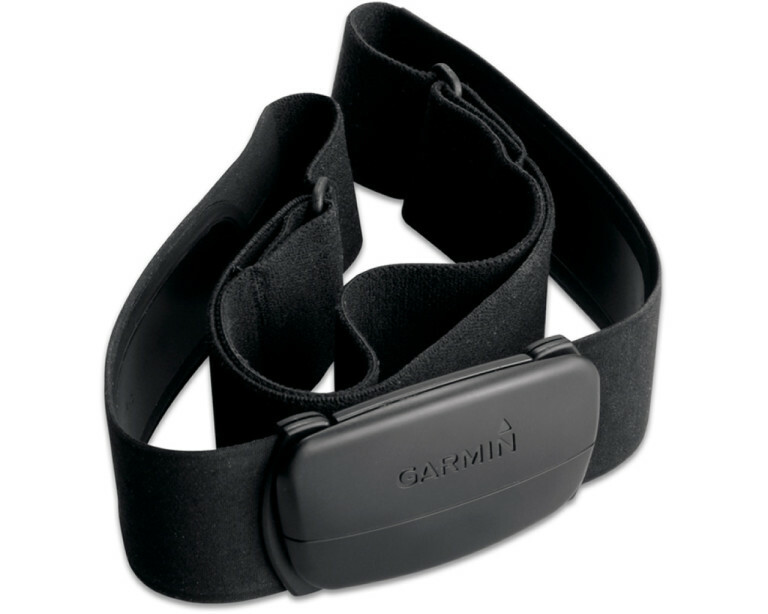 Some smartphone apps require a chest strap to track heart rate so make sure the chest strap is compatible with your smartphone’s connectivity before buying ie. ANT+ or Bluetooth etc. Is it worth spending more money? 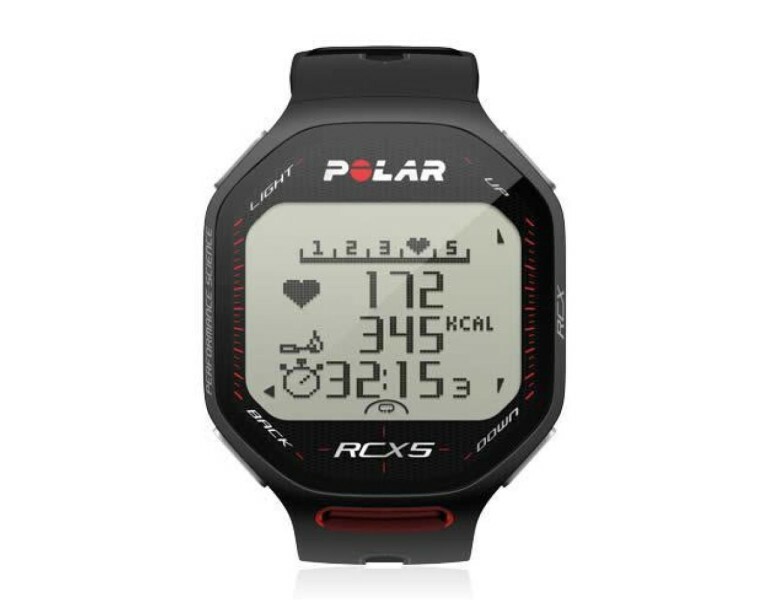 Even basic HRMs allow you to set limits and intensities for training session, calculate calories burned, time your whole workout and display the time you spent in/above/over your dictated zone. Mid-level HRMs include things like lap and split times as well as cool things like a beep countdown into max heart rate ‘intervals’ and such. They may also be able to handle multi-target complex training workouts. HRMs with GPS function can also help you to pace yourself to a set distance or route. High-end HRMs can do things like assess whether you’re over- or under-training. They’ll also have more practical aspects/benefits to them such as small size, long battery life, clearer displays and more sophisticated post-workout analysis software. Which heart rate monitor should you buy? Infrequent riders will be happy with a chest strap and smartphone app which will give lots of info for little cost. Regular riders will appreciate a bit more info on display so a handlebar-based device such as a HRM-capable bike computer or GPS unit will be provide lots of useful info when riding. Having the ability to record and save rides is handy as that can provide a basis for tracking fitness. 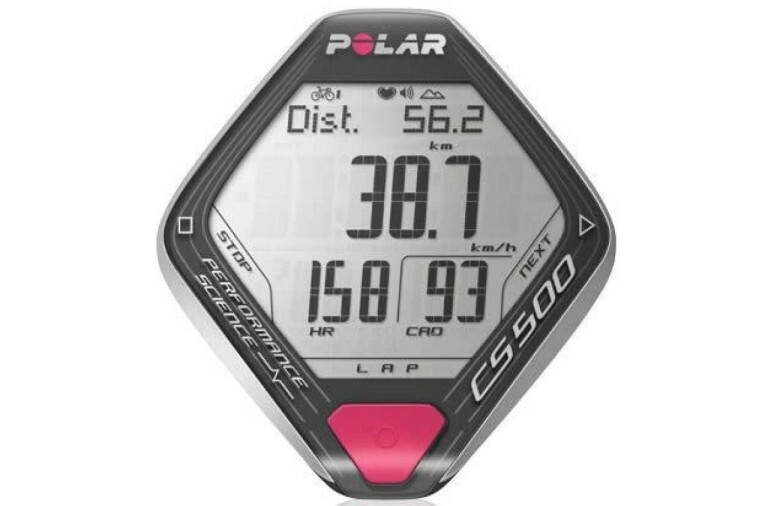 Racers will appreciate having even more information at their fingertips as well as the option of storing and reviewing training and racing so a GPS or bike computer type HRM will be best as they can store and display much more info. They’ll also want a HRM that connects fully to a turbo trainer. Tagged beginner, buyers guide, Fitness, heart rate monitor, hrm, training. Bookmark the permalink.